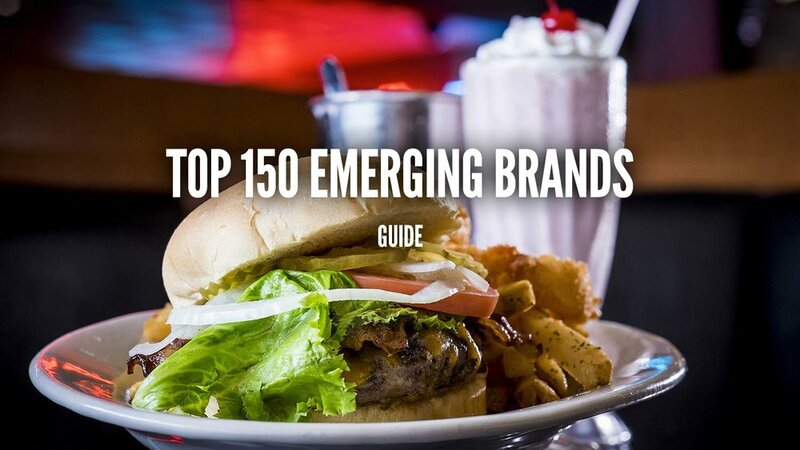 The Top 150 Emerging Brands Guide was curated in part as an editorial selection from the top 2,500 restaurant concepts in the U.S. that meet two sets of criteria - Innovative Brand Position and Innovative Menu. We then combined these brands with data from Foodable Labs in a variety of areas. 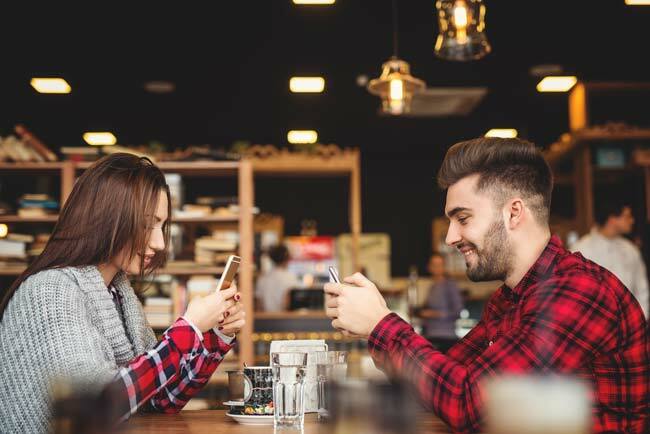 The Overall Social Insights Score is pulled across all five metrics, including Sentiment, Engagement, Mobile, Digital Influence, and Social Restaurant Visits, along with consumer market share. We also double weighted the SRV data, which we believe is a “Super Indicator” to a brand's success in 2018. This formula determined the Top 150 Emerging Brands in the industry. 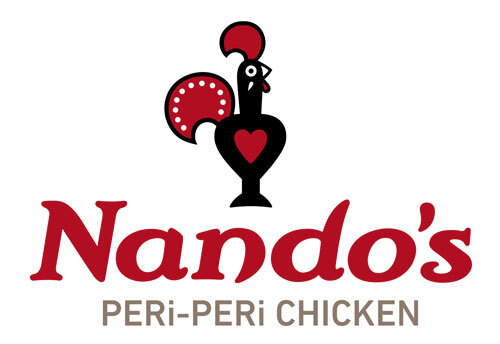 Nando’s PERi-PERi Chicken is an emerging brand coming all the way from Johannesburg, South Africa. It debuted its first American store in Washington D.C. back in 2008 and has grown its influence across the U.S. by opening multiple stores in states like Illinois, Maryland, and Virginia. In America alone, it operates 40 restaurants. This brand is not afraid to be bold. And no, we don’t just mean its bold signature flavors like Peri-Peri, also known as the African Bird’s Eye Chilli. Nando’s has managed to have a light-hearted voice in current events and politics. For an emerging brand, this could be looked at as a bold move. Being outspoken is something they are known for internationally. In December, the company released a one-minute ad, or Advert as South Africans call it, on YouTube titled “We can fix our s#*t”. The clip already has over 290,000 views and it features a timeline highlighting some of the biggest past and current challenges, scandals and proud moments witnessed by South Africans. The ad was well received on social media with comments and Tweets by followers expressing how much they loved the compilation or how inspired it made them feel. “Nando’s is very creative, it’s very imaginative, also found a very unique way to present itself as a brand that speaks back without insulting, without accusing. It also finds a way to speak to the issues of the day,” says Solly Moeng, a brand reputation specialist, on the podcast The Best of Weekend Breakfast titled “Why Nando’s is good at grilling politics?”. One thing is for sure, Nando’s is prideful of its South African roots and it really shows through the brand’s recent makeover featuring vibrant colors, incredible patterns and interesting mixes of old and new. The font was designed by Marks Salimu, a South African artist and sign writer. Silhouettes and patterns are big in African design, so the brand decided to have a local NGO design three unique patterns just for the restaurant chain. Look out for triangles, which represent family in African culture; African Bird’s Eye Chillies, which are the Peri-Peri symbol; Nando’s heart, which can also be found in the brand’s logo; and finally, flames, which represent the art of flame-grill which Nando’s is known for. Another fun piece of information about Nando’s design is the fact that all headings in designs are tilted at an 87 degree angle to represent the year the first restaurant opened in Rosettenville, Johannesburg, South Africa — 1987. This demonstrates the brand’s attention to detail. We can’t wait to see how this brand further develops in the coming years! Native Foods Café is a fast casual eatery that offers a 100percent plant-based menu. In 2015, amid expansion plans, restaurant-industry veteran Craig Grimes was appointed as the CEO to grow Native Foods to 200 stores by the year 2019. The company has been slow to expand, but it has managed to remain profitable in the meantime. Currently, there are 14 stores across the nation, in places like Los Angeles, Orange County, San Diego, Palm Springs, Colorado, Oregon, and Chicago. So what sets this fast casual concept apart from the many others in the market? Native Foods Café has been catering to the fast growing community of health-conscious consumers since 1994, back when the term “vegan” was not as relevant as it is today. It was founded in Palm Springs, Ca. with a strong sense of mission— to inspire the way the world eats. The company prides itself in providing dishes that are made-from-scratch, chef-inspired and beloved by vegans and non-vegans alike. From the Oklahoma Bacon Cheeseburger and Native Nachos to their sauces and desserts, all menu items are made in-house solely from ingredients like vegetables, fruits, grains, seeds, and nuts– never any animal products (including honey). Native Foods takes a creative approach when it comes to protein, which includes: tempeh, created from cultured non-GMO soybeans and millet; seitan, created with vital non-GMO wheat gluten; Native Chicken, created with non-GMO soy, non-GMO wheat and pea protein; and finally, cheeses are made from nuts and Daiya cheese. The price-point for an entree like a Burger or a Hand Held food item does not exceed $10.75 before taxes, which comes with a free $2 side. This puts Native Foods Café on the high end of the spectrum when it comes to fast casual average check prices, but as anybody can see the company goes out of their way to put forth unique veggie focused dishes that can’t be found anywhere else. Not only is the company committed to providing guests a stellar customer experience in stores, but they are also dedicated to serving the community through actively working with local and national non-profit groups that support environmental causes. Some of the organizations they are involved with are Mercy For Animals, The Surfrider Foundation, and Farm Sanctuary. 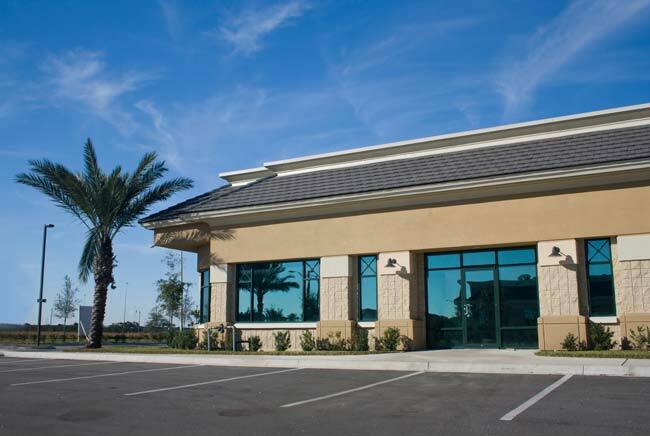 Native Foods Café is also committed to building sustainable, LEED certified stores that are energy efficient. Their eco-friendly approach goes as far as installing lighting fixtures made from reused cardboard, tables made out of reclaimed Oak trees, while providing biodegradable and recyclable packaging for food on-the-go. With that being said, this is definitely an emerging brand to look out for in 2018! LocoL was named the Times Restaurant of the Year by the “Los Angeles Times” in 2017. The fast food eatery has a laid back, skater-themed atmosphere that feels very L.A., but most importantly it has a sense of purpose. This is the brainchild of chefs Roy Choi and Daniel Patterson with the goal to bring nutritious, affordable food to the communities that needed it the most. LA-native Chef Choi is the co-founder and co-owner of Kogi BBQ Truck and has been credited with setting in motion the food truck movement in America. In 2013, Chef Choi gave a presentation at an international symposium event created for chefs, restaurateurs, waiters, and writers by a non-profit called MAD to inspire the chef community to bring nutritious food to food deserts. Chef Daniel Patterson, founder and owner of Daniel Patterson Group and co-founder of The Cooking Project, gave Choi a call after his presentation and together they agreed to try to reinvent the fast-food industry around the world. America being the first target. “We are going to build a concept that will have the ideology, the art and the science of a chef, but it will have the relevance of McDonald’s or Burger King... out there in the neighborhoods, in the streets,” said Choi the following year at MAD4. 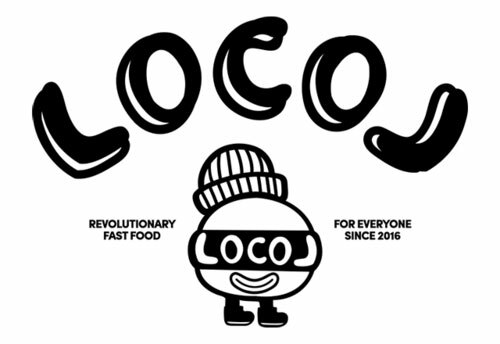 This was the first time the concept LocoL was announced. Now, there are two LocoL locations, one in the LA neighborhood called Watts and another in Oakland, Ca. The fast food concept also operates a LocoL truck which serves different locations weekly. The company’s mission is to prove that fast food can be wholesome, delicious and affordable- all in one. The menu consists of an array of choices, including; breakfast items, burgers, nuggets, burritos, bowls, and deserts. All the food is chef-driven and vegetarian options are also available. Finding a competitive price-point was something important to address early on in order to compete with other fast food places. At MAD4, Choi attributed the idea to Patterson, saying he suggested to cut the meat with grains in order to offer quality food at an affordable price point. “There’s not only grains in the burger, there’s also tofu, seaweed, garem, beef garem…” said Patterson about the protein product. The duo is set on opening more locations throughout the nation. Their hope is to prove that fast food can be reimagined to better feed the communities they serve, that chefs collectively can make a difference, and to improve the quality of life of the next generation through food. An emerging brand is a concept that finds itself at the beginning stages of development, whether it’s just launching or it’s working through the minutiae of scaling and expansion. There are many emerging brands in the restaurant industry— especially today. Foodable Labs currently tracks more than 75,000 restaurant entities. This includes over 700 fast casual concepts and over 1.6 million total restaurant locations globally. Some say the industry has become saturated because of so many new restaurant openings, partly fueled by venture capital and private equity. Companies like Roark Capital, Capital Spring and many others are taking emerging brands to the next level by providing operation access to cheap capital, along with offering funds for growth and to scale the business. Both of which, are the keys to success for this segment. Many of these brands are leveraging social media by targeting today's educated and tech savvy consumers with engaging content. These strategies are also low-cost. We sat down with the successful restaurant industry professional and Emerging Brand Consultant Larry J. Reinstein, president of LJR Hospitality Ventures, to learn what it takes to build a top emerging brand. Foodable: What are three attributes of a top emerging brand? Reinstein: An emerging brand must differentiate itself with food and beverage that resonates with the desired guest. The service experience is expected to be easy and efficient for guests. Finally, an emerging brand will have a team that is dedicated to excellence and is willing to persist to achieve it. Foodable: What does it take to build a top emerging brand? Reinstein: Clarity of vision combined with a team that is dedicated to the cause. Today, it's more about being part of something both as a consumer and as an employee. Foodable: What does it take to maintain one? Reinstein: To maintain one, it is important to not compromise on the key standards and pillars of what makes your brand special. Foodable: Would you list some of the challenges emerging brands face today? How should these challenges be dealt with? Real Estate — Never compromise when it comes to real estate. There is no such thing as a good deal when it comes to a poor site. A-Locations are the ultimate factor in how you build a base of guests. A-locations are usually the first step in creating a marketing platform for your business without the expenditure directly on marketing. Drive-by and word of mouth can be energized by an A-location selection. Labor — Create a caring culture and an inclusive culture. The team needs to be part of creating and building something special that will last. Today, the employees you are competing for have tons of options at many cool brands, as well as, so many other startups that can help them become part of something bigger. Team leaders will also be key in how you build a team based on a nucleus that is in alignment with your brand vision. Capital — Partner with capital that understands your brand and has a similar vision for growth and the appropriate infrastructure to sustain that growth. This is where many emerging brands make a devastating mistake by taking just any investment vs. investment that has a mission similar to theirs, both in a strategic element, as well as, a business element. Can they open doors for you? Can they give you real estate advantages? Labor advantages? Local community advantages? Foodable: What are the Top Five things a CEO of an emerging brand should watch out for to ensure the brand is growing and leading in their segment? Pay close attention to the team members, guests and management. What does everyone think and how are we really doing? Be cautious though to create or manage by committee– a balance here is really the magic you must create. Be in the restaurants more than in the corporate office. This sounds simple, but often a brand leader can lose the connection to the actual guest or employee. As an emerging brand this could end up being a huge mistake. Watch guest count closely. If you do this, it can actually tell you a lot about your menu, your service, your brand, and your people. Continue to evolve the business to adapt to how guests want to utilize it (like mobile, delivery, kiosk options.) You must create options in today's marketplace. Those options should span across both product and service. Monitor menu carefully and adjust objectively not emotionally. Everyone has their favorite item and even guests will want to remove or add items. Use strategic trend data, menu data analysis, consumer data to your advantage. Apply it to the local level and re-assess every step of the way. An emerging restaurant brand has to be so much more than just an innovative food concept. It's the team members that can either make or break a brand. To survive in today's competitive market, a restaurant has to invest in finding the right team that can adapt to whatever is thrown their way. Leadership starts from the top and the executive team defines the corporate culture. 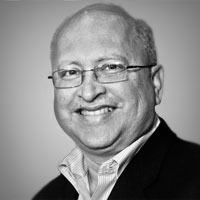 No one knows this better than Fred LeFranc, founder, chaos strategist and consultant with Results Thru Strategy, a restaurant consulting company. LeFranc has worked with a lot of start-ups and emerging concepts, along with legacy brands to implement long-term sustainable growth strategies. We decided to ask him a few questions to see what classifies a brand as emerging and what its he has to build a successful team in today's restaurant space. Foodable: What does it take for a brand to be classified as "emerging?" LeFranc: I think once the brand hits a certain number of locations, so it's not just a “one off. ”Let's just say at least three locations. The other thing would be that it has some unique brand characteristics. For example, if you have another fast casual pizza concept, emerging is probably not going to be a category I would put the brand in. It would be more of "me too" brand. I would also say that emerging is not just size, but also a little bit distinctive. Foodable: Why is it crucial for an emerging brand to have the right team in place? LeFranc: Every business needs the right team, obviously if you're going grow. The situation with many emerging brands is that usually they're founded by a founder who has no restaurant experience. It's unusual to have it be an experienced executive. We also often find that the team members are not qualified for the jobs they have. But, the smart brands will bring in an experienced person to counterbalance the lack of experience. I always laugh whenever a seasoned executive comes into an emerging brand, people start complaining, "Oh, this is too bureaucratic." They don't even know what bureaucratic actually means. They confuse being organized with being bureaucratic. But there's a big difference between the two. Foodable: In terms of leadership, what attributes should a CEO possess and why? LeFranc: Curiosity, being a good listener, and transparency. Curiosity is important because a CEO should always be looking for new ideas. Good listeners will remain open and they don't try to have all the answers. And transparency in the sense of making sure that they create an organizational culture where people are honest and communicate clearly. Of course, here's the classic ones like being organized and being a good communicator, but those are fairly generic. Foodable: What tips do you have to build an effective team? LeFranc: I would say that the biggest one is to make sure you encourage loyal opposition versus false harmony. Loyal opposition is we agree on where we're trying to go and we'll fight like hell and argue on how we're to going get there. False harmony is everyone bows their head up and down saying, "Oh, that's a brilliant idea," but they completely disagree. That culture is not healthy. Healthy is that you have transparency, you're honest with each other, you have accountability, you make a business. You also need a smart team, that knows how to make money, that understands what's going on in the competition and knows the place in the marketplace. If I had to choose between one or the other, I'd always take a healthy team over a smart team. A smart team with no moral compass eats their young, but a healthy team who's got each other's back will always figure it out. But you need both ultimately. Foodable: What are some of the challenges an emerging brand faces and what solutions have you recommended in the past? LeFranc: Most emerging brands are always challenged by being undercapitalized. Because they're growing, they've bootstrapped it and now they want to grow more because they want to take advantage of a unique market position and so they end up getting undercapitalized. As an emerging brand, it's important at some point to form what I'll call an advisory board, made up of people who have experience in the business. People who can come in and say, "Here, this is what you need to do." Two other challenges with emerging brands, besides capital, are real estate and people. Those are the three big things–cash, real estate, and people. So, if you can solve all three you're going be in good shape. Often these brands don't know how to use the new capital. They blow it because they don't know how to pick real estate. They don't have the right kind of cash controls in place or disciplines and they get into trouble. Another issue is they often open up locations without qualified managers, which is a classic error. You should never grow your business faster than you can grow your people. You can download the full Top 150 Emerging Brands Report and receive access to bonus Podcast’s of emerging brand CEO’s discussing the x-factors and what it takes to become an emerging brand. These are all available in our all new Foodable Plus Membership where you have access to our latest reports, special podcasts and custom research and editorial.